This is a good M.Pharma project report on "Ocular Drug Delivery System". Ocular administration of the drug is primarily related to the treatment of ophthalmic diseases, not for gaining systemic action. The report will focus on mechanisms and barriers for ocular drug absorption, anatomy of the eye, conventional ocular formulations etc. You can also Subscribe to FINAL YEAR PROJECT'S by Email for more such projects and seminar. Ophthalmic drug delivery is one of the most interesting and challenging endeavors facing the pharmaceutical scientist. The specific aim of designing a therapeutic system is to achieve an optimal concentration of a drug at the active site for the appropriate duration. Ocular disposition and elimination of a therapeutic agent is dependent upon its physicochemical properties as well as the relevant ocular anatomy and physiology. The aim of pharmacotherapeutics is to cure a disease in a consistent and predictable fashion. An assumption is made that a correlation exists between the concentration of a drug at its intended site of action and the resulting pharmacological effect. The specific objective of coming up with a therapeutic system is to attain associate best concentration of a drug at the site for the suitable length. Ocular disposition and elimination of a therapeutic agent depends upon its chemical science properties yet because the relevant ocular anatomy and physiology. 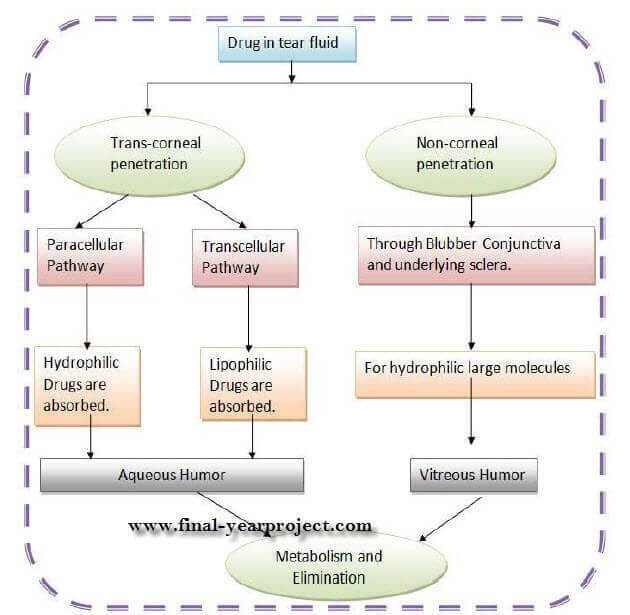 A successful design of a drug delivery system, therefore, requires an integrated information of the drug molecule and the constraints offered by the ocular route of administration. Development of newer, more sensitive diagnostic techniques and novel therapeutic agents continue to provide ocular delivery systems with high therapeutic efficacy. Do check this project and provide your feedback. We are very thankful to the author of this project. Use this report only for your reference and study work.